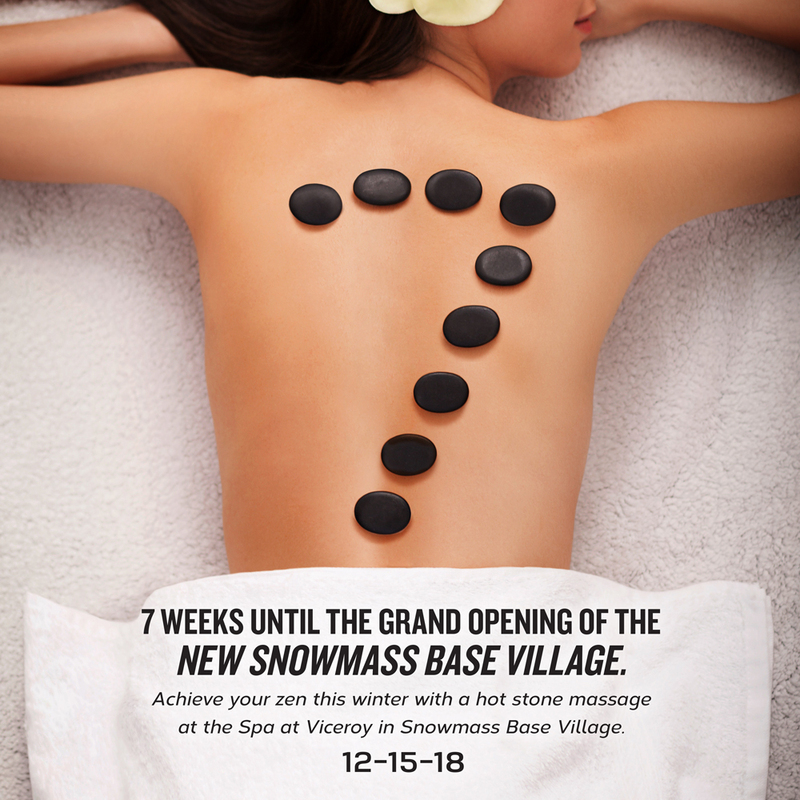 We’re counting down to celebrating winter with just seven weeks until the grand opening of the new Snowmass Base Village. Now’s the time to start planning how to achieve your zen this winter with a spa treatment at the Viceroy Snowmass Spa. It’ll be the perfect way to wind down after a day on the slopes. Can’t wait until winter? No problem. There are great deals to help you achieve that zen a little earlier at the spa. Learn more by clicking here.